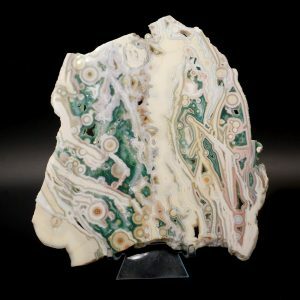 Orbicular Jasper, also known as Ocean Jasper, is an unusual variety of jasper recently found in Madagascar. Like other jaspers, it is a member of the quartz family, a silicon dioxide material with a hardness of 6.5 to 7. Color variations include vibrant shades of green, pink, red, black, brown, orange, yellow, and white. Its patterns are wild with polka dots, wavy lines, banding with scalloped edges, and multi colored florets. 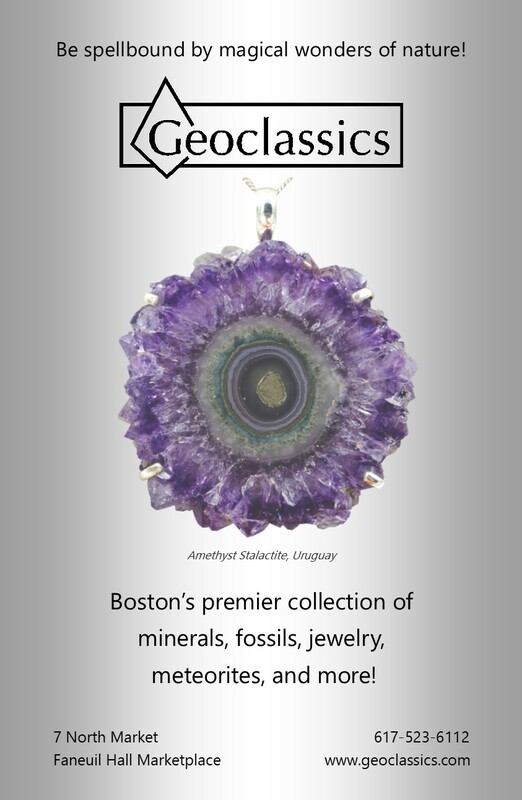 It also often forms cavities filled with sparkling drusy quartz crystals. Orbicular Jasper is known as a stone of joy and high spirits, but at the same time can be calming and soothing. It can also allow for the release of stress and escapism, and help one understand the value of the here and now.